Gary E. Devlin has a broad-based litigation practice representing both plaintiffs and defendants, with particular emphasis in the areas of commercial litigation, consumer litigation, business litigation, residential real estate foreclosure and related loan servicing and lender/borrower disputes, and general liability litigation. He is experienced handling cases involving premises liability, personal injury, landlord/tenant disputes, property management, construction defect, employment, and subrogation. Mr. Devlin has represented a range of clients across the United States, from Fortune 500 companies, including insurance companies, to small, privately held companies and individuals. He has handled many cases with multimillion-dollar exposure. 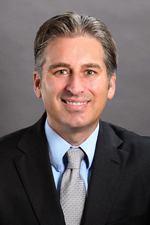 Mr. Devlin joined Hinshaw & Culbertson LLP in February 2005. Previously he was an associate for five years with the Los Angeles firm -Williams, Smyth & Jacks LLP (formerly of Charlston, Revich & Williams LLP). He also served as a Judicial Extern for the Honorable Lourdes Baird, U.S. District Court, Central District of California. In addition to his other law school achievements, Mr. Devlin participated in moot court and was a recipient of the AmJur Bancroft-Whitney Award. "The Talent Agencies Act: Reconciling the Controversies Surrounding Lawyers, Managers, and Agents Participating in California's Entertainment Industry," 28 Pepp. L Rev. 381 (2001). "NEA v. Finley: Explicating the Rocky Relationship Between the Government and the Arts," 27 Pepp. L Rev. 345 (2000). "People v. Castillo," California Supreme Court Survey, 22 Pepp. L Rev. 183 (1999). "Stop Youth Addition, Inc. v. Lucky Stores, Inc.," California Supreme Court Survey, 26 Pepp. L Rev. 509 (1999). Mr. Devlin served in the United States Army for four years and received the Army Commendation Medal, the Army Achievement Medal (twice), the National Defense Medal and the Army Service Medal.